Point Bonita Lighthouse staff and docents invite you to a for a Sunset walk down the Point Bonita Trail, through the hand-carved tunnel and out to the Lighthouse. You will walk along a half-mile trail which is steep in places. Arrive early as parking is limited. 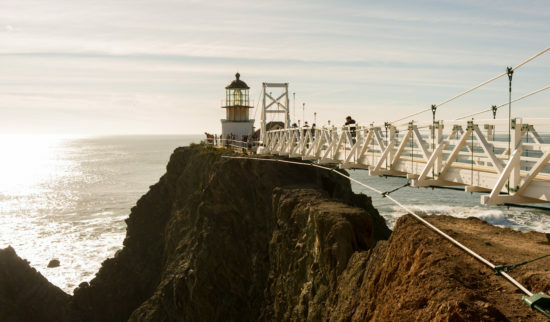 Meet at the Point Bonita Lighthouse trailhead. Dress warmly and bring a flashlight. Limited to 50 people; program fills quickly.